Andreas Harsono: Papuans Have Heard Jokowi’s Promises, but Is the President Listening? Papuans Have Heard Jokowi’s Promises, but Is the President Listening? 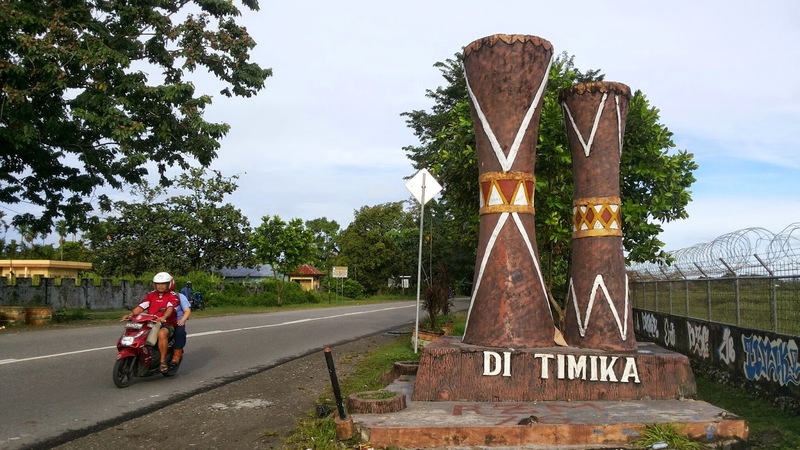 In December, President Joko “Jokowi” Widodo promised the long-suffering residents of Indonesia’s easternmost area of Papua something extraordinary: The opportunity to be heard by their government. “I want to listen to the people’s voices, and I’m willing to open dialogue for a better Papua. 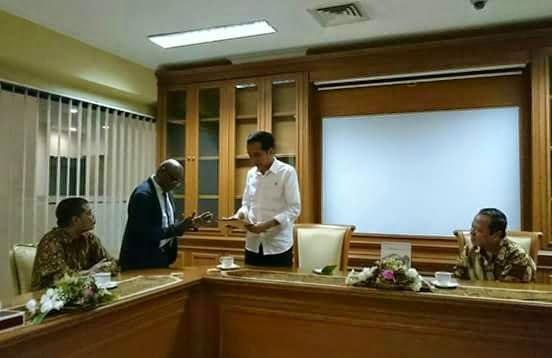 The people of Papua don’t only need health care, education, the construction of roads and bridges, but they also need to be listened to,” Joko said. During a Dec. 27-29 visit to the cities of Jayapura, Wamena and Sorong, the president implicitly rejected the government’s unsuccessful and abusive twin-prong governance strategy in Papua of development spending backed by an iron-fisted security presence. Instead, Joko offered a vision of a more responsive and caring government. Papuans know better than most Indonesians that talk is cheap and political reform rhetoric even cheaper. So Joko ’s first test of more responsive and rights-respecting governance in Papua is his follow-though on his pledge to thoroughly investigate the killing of five peaceful protesters by Indonesian security forces in the town of Enarotali on Dec. 8. Joko should demonstrate his commitment to revealing what happened in Enarotali by supporting a joint investigation by the National Commission on Human Rights (Komnas HAM), to ensure that police and rights agency investigators can question military personnel, including members of the 753rd Army battalion, who were present during the incident. Joko can back up that investigation by deploying the official Witness and Victim Protection Agency (LPSK) to Enarotali to protect witnesses, victims, and victims’ families from possible security force reprisals for cooperating with investigators. The president told Papuans on Dec. 27 that he wanted the circumstances behind the shooting “solved immediately so it won’t ever happen again in the future … as well as to find the root of the problems.” For Joko’s convenience, the “root of the problems” in Papua is already well-documented. If his government is serious about tackling the chronic human rights abuses and impunity that have defined life in Papua for five decades, there are four immediate steps his government can take that will have serious impact in addressing such violations. Second, Joko should put an end to the impunity that Indonesian security forces have enjoyed in Papua for decades. The routinely heavy-handed response by security forces to Papuans who exercise their rights of association and peaceful expression has bred deep resentment among the local population. Although the ongoing low-level armed conflict with the small and poorly organized Free Papua Organization (OPM) places responsibilities on the government to ensure security for the population, far too often Indonesian security forces have abused the rights of Papuans with impunity. On Sept. 23, 2013, Indonesian security forces fired on a rock-throwing crowd in the town of Waghete, killing a 17-year-old high school student and wounding at least three others. The government failed to investigate the circumstances for that apparently excessive use of force. In at least one case, personnel of the same 753rd battalion convicted of abuses against Papuans were later promoted after serving short jail terms. Second Lt. Cosmos, one of seven soldiers convicted in 2010 by a Jayapura military tribunal of torture that involved sexual mutilation of a Papuan farmer, was subsequently promoted to first lieutenant after his seven-month jail term. As If We're Half Animals to Jokowi. Papuan theologian Benny Giay told Joko last month that his challenge was to accomplish what all previous Indonesian presidents had failed to do: Win “the hearts and minds of Papuans.” Joko could go a long way toward that goal by releasing the 65 Papuan political prisoners currently imprisoned on charges of “treason.” They include Filep Karma, a civil servant who is serving 15 years for raising the Morning Star flag — a West Papua independence symbol — in December 2004. Human Rights Watch takes no position on the right to self-determination, but opposes imprisonment of people who peacefully express support for self-determination. By releasing Filep, Joko would be honoring the request made in 2011 by the United Nations Working Group on Arbitrary Detention calling for his immediate and unconditional release. Finally, Joko’s administration should order the Indonesian Military (TNI), including the Special Forces (Kopassus), to cease the unlawful surveillance of peaceful activists, politicians, and clergy immediately, and to ensure that civilian authorities in Papua retain responsibility for basic law enforcement. That requires Joko to address the chronic paranoia among military, intelligence and police officers in Papua. A trove of official documents leaked to the public in 2011 revealed that Kopassus deploys a vast network of Papuan informants to spy on a broad swathe of Papuan political, traditional, and religious leaders, and civil society groups. That surveillance is fueled by official fears that nongovernmental organizations primarily work to discredit the Indonesian government and the armed forces by using the “human rights issue” to garner international condemnation of Indonesia’s military presence in Papua and to promote Papuan independence. Joko needs to make it clear that such paranoia and its related abuses are an unwanted throwback to Indonesia’s authoritarian past that he won’t tolerate. The good news is that addressing the problems in Papua isn’t a matter of rocket science. It’s a matter of political will and a commitment by his government to protect the rights and freedoms of Papuans enshrined in Indonesia’s constitution and international law. Papuans have heard Joko’s promises. Now they’re waiting to see if he’s really listening. Andreas Harsono is a Human Rights Watch researcher based in Jakarta.